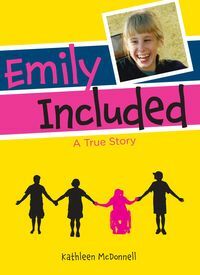 The true story of Emily Eaton, born with cerebral palsy in Ontario. Emily and her family fought for years for Emily to be treated like a “normal”, everyday kid in a regular classroom. Their fight, which began at a time when children with CP were segregated, was groundbreaking. Her story makes her an amazing role model for children everywhere - whether they are living with a disability or not. 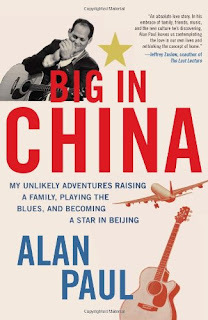 When Alan Paul's wife was offered the job as the Wall Street Journal's China bureau chief, he saw it as an amazing opportunity to shake up their increasingly staid suburban New Jersey life. Excited and not a little scared, they packed up their three children—ages two, four, and seven—and headed for adventure and uncertainty in Beijing, China. Based on his award-winning Wall Street Journal Online column, "The Expat Life," Big in China explores Paul's unlikely three-and-a-half-year journey of reinvention in this rapidly developing metropolis. He reveals the challenges that he and his family faced while living in a foreign land, including reaching beyond the expat community, coming to terms with his new role as a stay-at-home dad, and learning to navigate and thrive in an unfamiliar culture. By viewing an intimidating challenge as a golden opportunity rather than as a burden, he saw his world open up around him. Those are all new to me titles Laura but I just started seeing the 31 book and it sounds interesting I will have to look for it. In today's world it seems strange that children like Emily would be segregated, but I well remember those days. I hope that book's as good as it sounds. Have a great week in reading. 31 dates sounds like it would be a fun read although there is no way I would want to go on 31 dates in 31 days. Wonderful mailbox. All the covers look interesting to me. Have a great reading week. Excellent mailbox! I want to read all three of these books! I look forward to your thoughts! 31 dates in 31 days! Now that is going to be a challenge for the person doing all the datee! These all sound good...hope you enjoy them! 31 Dates seems really intriguing.